In Romeo and Juliet, Juliet asks Romeo, “What’s in a name?”. She then answers her own question with “That which we call a rose by any other name would smell as sweet”, referring to the fact that she loves the person who is called “Montague”, not the name itself or the family. Philosophically, this thought couldn’t be more reasonable and modern. To a parent of a newborn, however, this question has a different sort of significance. What is in a name indeed? So plenty – considering the lifelong consequences. Having just had a baby girl, I have recently given this question a much thought. Wanting to leave a trace of my cultural heritage to her identity, I decided to give her a Korean middle name. Not satisfied with popular names, I searched for a name that was unique enough, sounded pretty and not overly difficult to pronounce in English, but it still had to embody something meaningful. Traditionally Korean names are a combination of syllables (often two), one of which is a generational name syllable and the other an individually distinct syllable. For instance, my mother and her sisters are named He-rim, He-ja, and He-won, with “He-” being the obvious generational name syllable in this family. However, this is a declining practice among individualistically inclined younger people. Even my own parents did not follow this practice with their children and I wasn’t about to pick it up either. 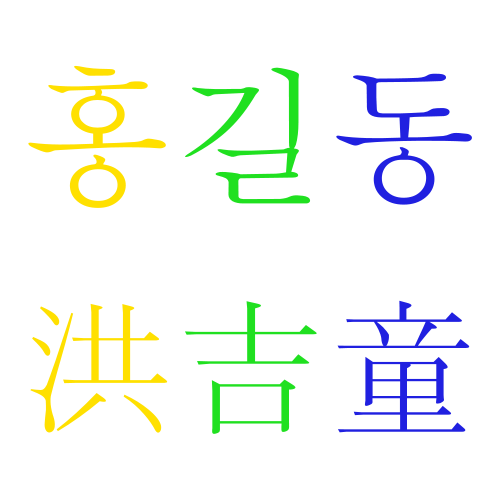 Korean given names are typically composed of hanja, or Chinese characters. Taking my mother’s name, He-rim, as an example, the character “He” means “giving” and “Rim” means “forest”,rendering the full meaning “a bountiful forest”. There are a set number of hanja permitted to be used in given names, in addition to a small number of alternate forms. People’s names are recorded in both hangul, native Korean and hanja (if available) on official documents, such as birth registration. Using native Korean words as a name is seen as a more unique naming practice. For instance, it’s not unusual to find girls named Haneul (하늘; “Heaven” or “Sky”) and Isul (이슬; “Dew”). Now this was a practice that I preferred to adapt which also seemed to me like a more authentic tribute to my cultural heritage. 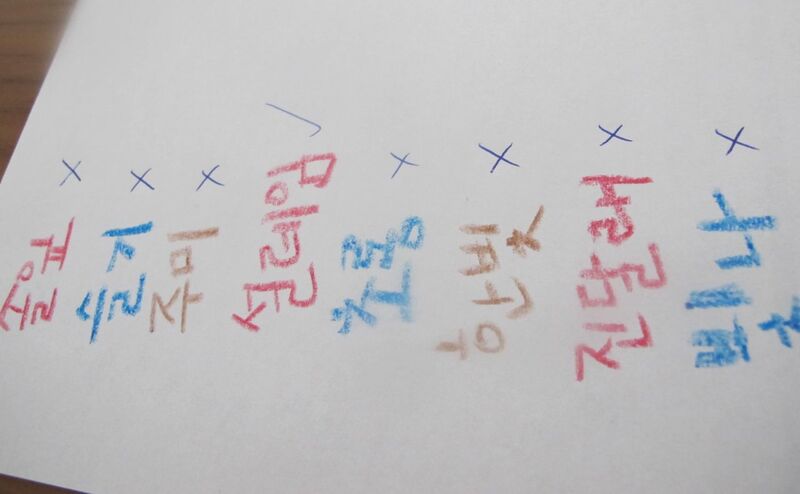 Even though there are still usually just two syllables in these names, in my search for a meaningful word that meets all the objectives I set out, I ended up choosing a three-syllable word, Soleym (설레임; “heart’s flutter”). In addition to being a unique name, it was quite a literal description of my feelings about having this baby daughter – an anticipation of a lifelong bond that is based on unconditional love and the continuation of the type of relationship that I have with my own mother who is also my best friend and confidante. My heart flutters thinking about how my relationship with my daughter would grow over the years, and how much meaning it would add to our lives. According to an article on the Huffington Post from a few months ago called “Baby Name Rules: No Dumb Names And 21 Others Worth Following”, I have just broken a couple of rules: No made up names; Don’t pick a name that will eternally have to be pronounced and explained to everyone. Perhaps my daughter will end up hating it due to these very reasons. But at least she will know that it was an expression of my love for her. Perhaps that alone would be sufficient.